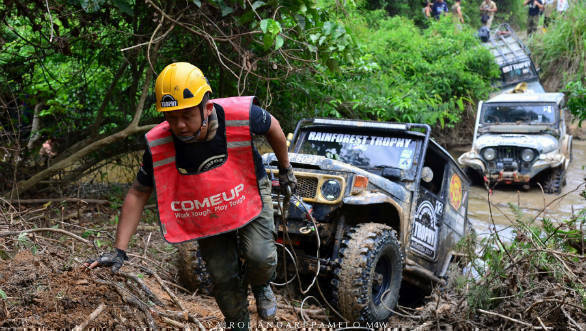 Malaysia's RFC International, the organizers of the Rainforest Challenge of Malaysia, has announced the second edition of their off-road adventure expedition, the Rainforest Trophy. This year's event is being held from July 13 to July 20, 2018. 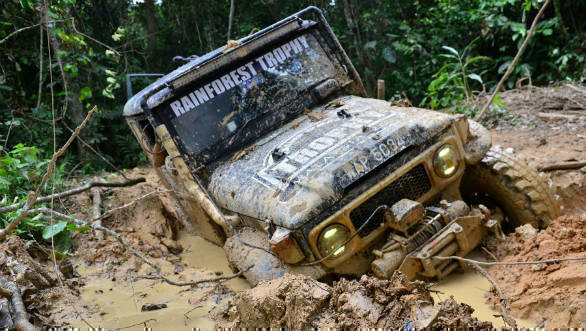 Unlike a racing event, participants in the Rainforest Trophy(RFT) work in cohesion to traverse the entire course. The aim is to show off the participants' endurance and off-roading skills. The RFT 2018 will start off with a vehicle inspection and event presentation on July 13 followed by the expedition flag-off in Kuala Lumpur on July 14. Between July 15 and July 19, the event will cross abandoned logging trails across rainforests and the peninsular Malaysian countryside. Participants will engage in team-building activities along the route and at designated campsites. The trip ends with a ceremonial finish and a non-competitive awards presentation on July 20. Overseas participants can compete in the RFT 2018 for $2,000 (approximately Rs 1.33 lakh). This allows two passengers in a vehicle as well as goodies, stickers and event insurance. For every additional passenger in a vehicle, participants need to pay $1,000 (approximately Rs 66,840) for entry in the event. Entrants in the touring adventurers' category avail of all these benefits along with hot meals at campsites and access to official RFT trucks for $1,300 (approximately Rs 86,892) per person. The entry fee does not include any other costs such as hotel accommodation, meals as well as medical and camping needs, or camping beds and sleeping bags. These expenses will have to be borne by the participants, as will other incidental costs. Indian nationals interested in being a part of RFT 2018 can bring their own 4x4s to the expedition or rent local 4x4s from Malaysia. A regular group at RFT comprises three vehicles (each having a driver and a co-driver). In case a participant doesn't have the required numbers, he/she is welcome to join in any of the individual overseas/local entries to form a group. 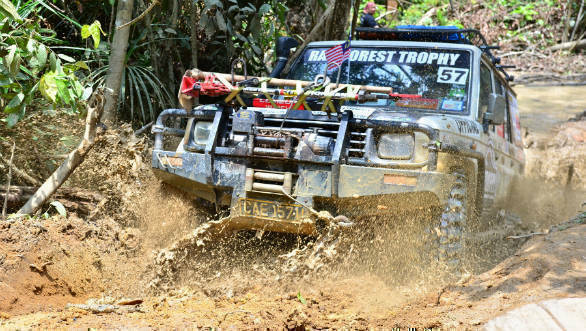 Participants who do not have an off-roader can join in through the touring adventurer category. International participants in this event are required to submit to RFC a copy of their passport and a photo of each participant. A vehicle ownership certificate or its equivalent and vehicle insurance details is also required if a participant chooses to use their own vehicle. Participants are responsible for obtaining valid Malaysian visas and vehicle 'import and use' permits in Malaysia. RFC International, founded by Luis J.A. Wee, launched the Rainforest Challenge (RFC) in 1997. The company has grown since then and now organizes this event in 51 editions, across 21 countries worldwide, including India. While Rainforest Trophy is still in its nascent stages, the event has the potential to grow to a similarly large scale, given its relative approachability.